James Graham "J. G." Ballard (15 November 1930 – 19 April 2009) was an English novelist, short story writer, and essayist. 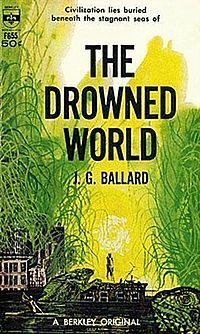 Born in an international settlement in Shanghai to British parents before his family emigrated to the UK, Ballard began writing in the 1950s, becoming associated with the New Wave of science fiction with post-apocalyptic novels such as The Wind from Nowhere (1961) and The Drowned World (1962). 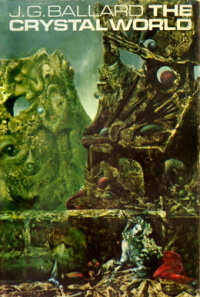 In the late 1960s, Ballard produced a variety of experimental short stories (or "condensed novels"), such as those collected in the controversial The Atrocity Exhibition (1970). In the mid 1970s, Ballard published several novels, among them the highly controversial Crash (1973), a story about symphorophilia and car crash fetishism, and High-Rise (1975), a depiction of a luxury apartment building's descent into violent chaos. While much of Ballard's fiction would prove thematically and stylistically provocative, he became best known for his relatively conventional war novel, Empire of the Sun (1984), a semi-autobiographical account of a young British boy's experiences in Shanghai during Japanese occupation. Described by The Guardian as "the best British novel about the Second World War", the story was adapted into a 1987 film by Steven Spielberg starring Christian Bale. There is a Blog dedicated to his life and work. 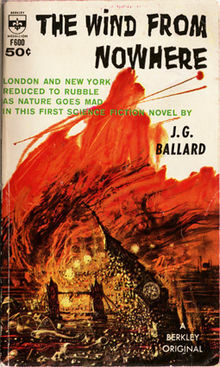 The novel was the first of a series of Ballard novels dealing with scenarios of "natural disaster", in this case seeing civilization reduced to ruins by prolonged worldwide hurricane force winds. As an added dimension Ballard explores the ways in which disaster and tragedy can bond people together in ways that no normal experiences ever could. This, too, is a recurring theme in his works, making one of its first appearances here. The novel features a central character who, rather than being disturbed by the end of the old world, is enraptured by the chaotic reality that has come to replace it. Set in the year 2145 in a post-apocalyptic and unrecognisable London, The Drowned World is a setting of tropical temperatures, flooding and accelerated evolution. At the beginning of the novel, the catastrophe responsible for the apocalypse is explained scientifically: solar radiation has caused the polar ice-caps to melt and worldwide temperature to soar, leaving the cities of northern Europe and America submerged in beautiful and haunting tropical lagoons. Yet Ballard's novel is thematically more complex than is immediately apparent. Ballard uses the post-apocalyptic world of the story to mirror the collective unconscious desires of the main characters. A theme throughout Ballard's writing is the idea that human beings construct their surroundings to reflect their unconscious drives. In The Drowned World, however, a natural catastrophe causes the real world to transform itself into a dream landscape, causing the central characters to regress mentally. 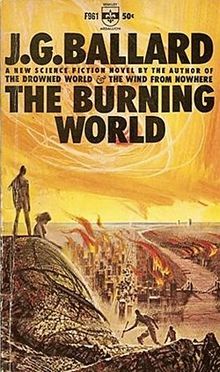 In contrast to Ballard's earlier novel The Drowned World, The Burning World describes a world in which water is scarce. After an extensive drought, rivers have turned to trickles and the earth to dust, causing the world's populations to head toward the oceans in search of water. The drought is caused by industrial waste flushed into the ocean, which form an oxygen-permeable barrier of saturated long-chain polymers that prevents evaporation and destroys the precipitation cycle. The novel tells the story of a physician trying to make his way deep into the jungle to a secluded leprosy treatment facility. While trying to make it to his destination, his chaotic path leads him to try to come to terms with an apocalyptic phenomenon in the jungle that crystallises everything it touches.